Det er Torsdag og da er det som vanlig ny utfordring hos MAWTT. Ta turen over til MAWTT og sjekk ut all den flotte inspirasjonen fra DT-jentene♥. This is really pretty Marita, love the delicate embossing. This is beautiful sweetie. I wish we had some warmth here in the UK, the weather is very cold. Ooh this is really pretty, love the embossed frame and the flowers are gorgeous too. Hi there, oooh this is so elegant! The flowers are a perfect touch. 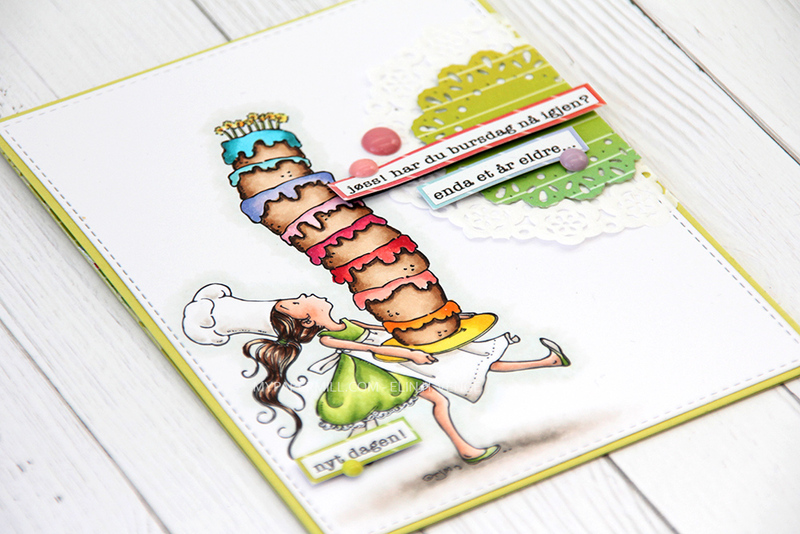 Gorgeous card Marita! Love the soft colors and your beautiful rolled roses! Aww this is beautiful Marita… the embossing is very elegant and pretty and I LOVE those wonderful rolled roses!